This article shows you how to delete a query. You can delete only those queries created under your user login. 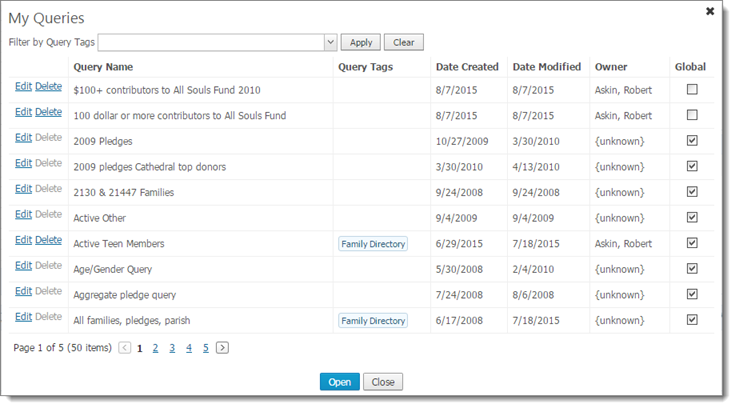 This list shows you all of the queries you created along with queries other users in your organization are sharing. Click the Delete link to the left of the query you want to delete. You are prompted to confirm the deletion. Click OK to delete. The software deletes the query and returns you to the My Queries window. The query is no longer in the My Queries list.